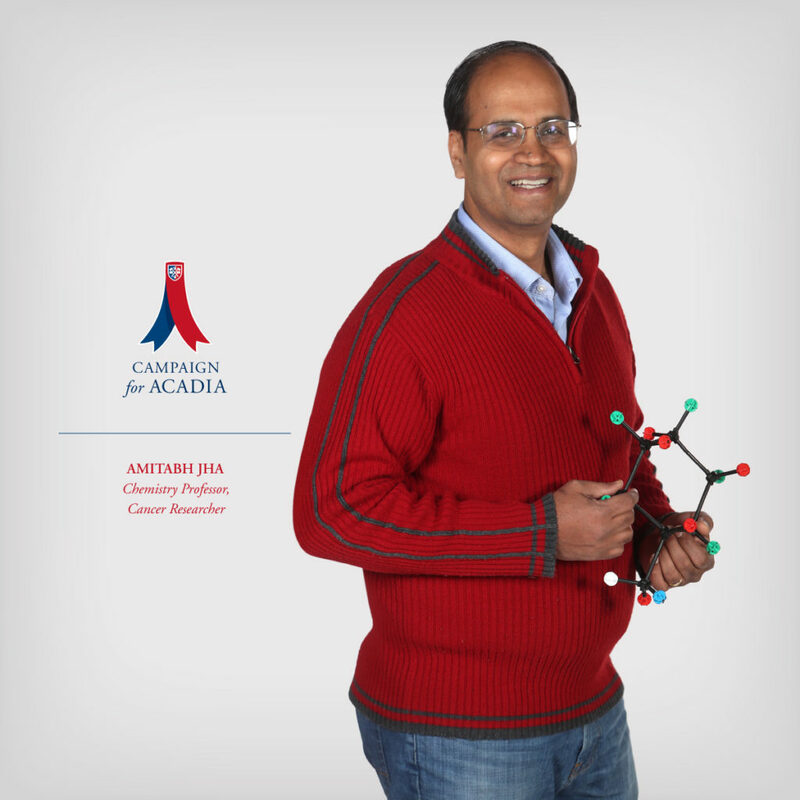 A professor in Acadia’s Chemistry Department, Jha teaches organic chemistry and biochemistry, specializing in medicinal chemistry and cancer drug discovery. He is an acknowledged expert in drug discovery for breast cancer, and from 2011 to 2016 he held the George H. Wallace Endowed Chair in Chemistry. Drug discovery requires a lot of interdisciplinary work over many years, so the work in an undergraduate environment is always at the experimental stage. In 2017–18, major renovations to Elliott Hall and Huggins Hall modernized their facilities. The new David Huestis Innovation Pavilion linked the two science buildings and provided space and labs for research and commercialization.